Jamie is a beautiful young lady that visited us with missing a tooth and has had a missing tooth since she was in grade 2. 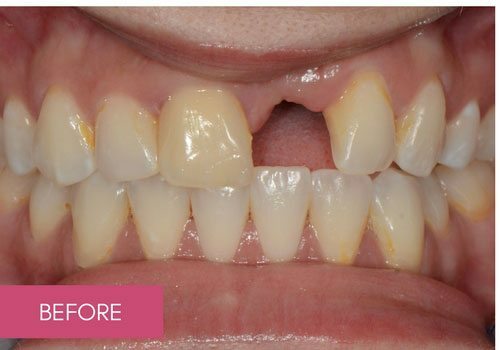 Wearing a denture, she initially visited us to explore her options for a fixed and natural-looking alternative to wearing a denture. 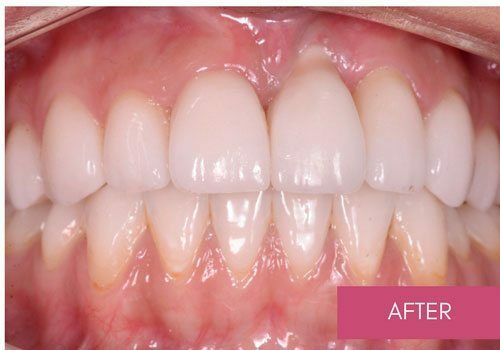 We recommended a dental implant to solve this problem, however, she was also interested in correcting her discoloured and worn teeth to achieve a beautiful, healthy and long-lasting smile. Jamie’s treatment was completed in 3 weeks and 4 visits. 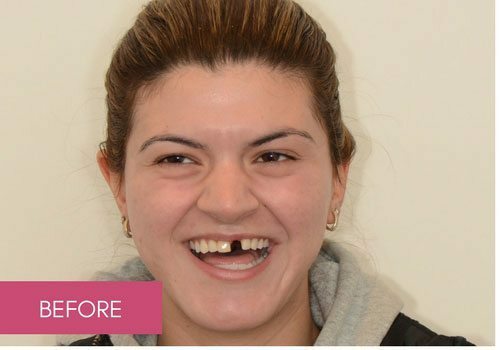 Since completing treatment, she told us that she feels more confident and not self-conscious about her teeth anymore and thanked the Dental Boutique team for their support during her smile journey and help to achieve her dream smile.